Xconomy: Former CEO Chris Lynch Out at Vertica/HP: What's Next? 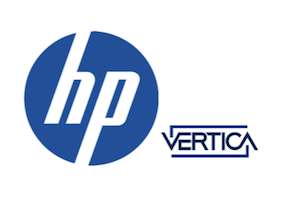 Former CEO Chris Lynch Out at Vertica/HP: What’s Next? The golden handcuffs are off, it appears. Chris Lynch, the former CEO of Vertica, the big-data analytics company acquired by Hewlett-Packard a year ago, has left the company. The news was first reported by SiliconAngle this morning. It’s not a big surprise—CEOs leaving a year after being acquired is one of the more predictable things in the tech industry—but it does raise some questions. One is, how does this affect HP’s (and Vertica’s) strategy around big data in the Boston area, since it was thought to be setting up a big data “center of excellence” in Cambridge (near Alewife)? The facility serves as Vertica’s new offices after having moved from Billerica, and Lynch was leading the effort from within HP (NYSE: HPQ). Secondly, what will Lynch do next? He has talked recently about his desire to mentor startups and work together with venture capitalists and academic researchers to build some new companies around Boston. Lynch also thinks startups around big data could “lead the resurgence in Boston technology,” he told me. The Vertica-HP deal, worth around $300 million, is one of the biggest tech acquisitions around Boston in the past year. And it points to the Boston area’s leadership and talent around big data and analytics, together with companies like Netezza (part of IBM), EMC/Greenplum, Endeca (part of Oracle), ITA Software (part of Google), and upstarts like Hadapt, Hopper, Cloudant, and Basho. Lynch started his career with Digital Equipment Corporation in the late 1980s before helping lead Arrowpoint Communications (bought by Cisco Systems in 2000) and Acopia Networks (bought by F5 Networks in 2007). So he has quite a track record of building companies that are attractive to the big players. We’ll update this story when we have more details.